Authentic looking Daisy Girl Scout-inspired 18" doll accessory bundle! 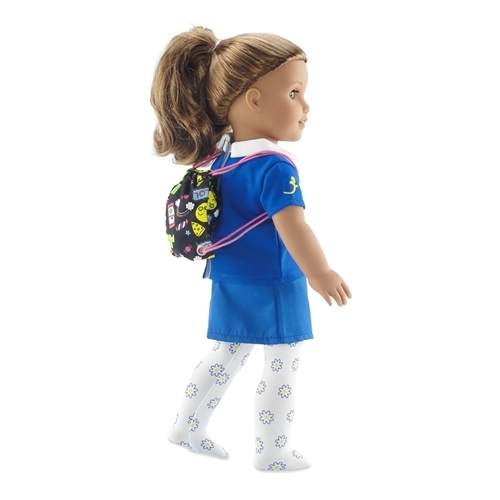 Mix and match items from your Daisy Scout uniform and take your doll with you to your next scouting event! 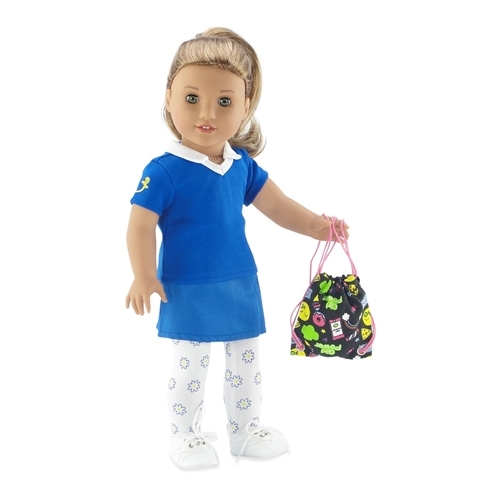 Includes a bright blue short sleeve activity shirt, with embroidered Emily Rose logo flower, a pair of white tights with yellow daisies, and a colorful "Girl Power" backpack. The shirt features our no-grab Velcro, making getting dressed a snap! This awesome doll accessory pack comes packaged in our special pink Emily Rose gift box and is a great addition to your 18 inch doll's Daisy Scout uniform! Outfit includes a beautiful bright blue Activity Shirt, including yellow embroidered Emily Rose logo flower. Designed to match the Daisy Scout Uniform color! This awesome Girl Scout accessory pack also includes a pair of tights with beautiful daisy flowers, and an amazing "Girl Power" themed backpack! 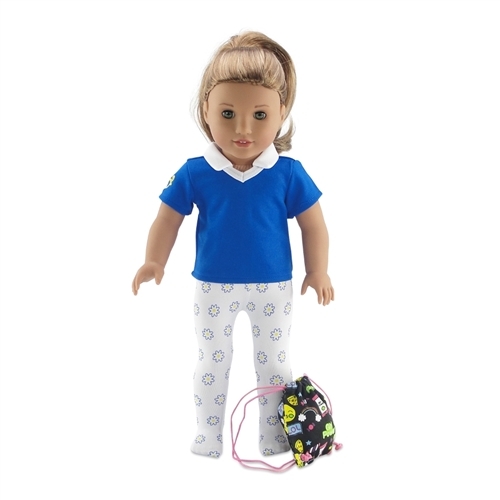 Doll clothing made to fit 18-inch dolls such as American Girl ®, Madame Alexander, Gotz, Journey Girls, Our Generation, etc. Doll, skirt and shoes not included.